In our review of HiWayFX forex broker, we will show you some glimpses of what can you get from signing up for this particular broker. There is a sea of brokers, but only a few are serious competitors. As time goes by, some fall behind, some of them stay at the top, others emerge and so on. Let see what’s the deal with a rather young broker, HiWay. It begun its online job in 2014 as it wanted to wait for obtaining regular licenses. That itself differs this one from some others, who first try to make presence, and than in the mean-time, try to obtain licenses to get more traders, and to claim its regularity among the competition. HiWay assumed (correctly) that regularity is the only way to real market and serious business. As a Cyprus-based company, it is regulated by CySec. It also has all EU region covered up. HiWay has almost everything, from swaping, trading on one-click, hedging, trailing stops. However, there is no scalping here. As for accounts Hiway offers, there is a standard one where the minimum amount for a deposit is $20. That makes it affordable for beginners who don’t want to risk a lot of their money. If you prefer ECN, there is an account for you as well. Depositing money is possible via bank transfer as well as Skrill. HiWayFX offers a leverage of 500:1. VIP Customers also are entitled to commissions and lower spreads. Tradin at HiWay is possible with MT4. It doesn’t have its own, but it decided so far not do go for developing something “personal”, but it rather is using the world’s best and most known trading platform. Besides this one, HiWay made sure to enable its customers to trade with their mobole phones or tablets. Since it is a new trader, it decided to attract more customers with bonuses. But before bonuses, a trader can try out how things work at HiWay through a demo account. It’s a trial account that you don’t have to invest a dime in order to try a few moves before investing money. When you decide to deposit some cash, HiWay will back it up with as much as you invest if your deposit is between 1-5 hundred dollars. If your deposit is greater than $500, you get another 30% for that in addition. So, it’s better to deposit more money, the double you can start with. Anyway, for all next deposits, you get another 30% to trade with. This forex broker offers its customers to choose from several types of accounts, depending on their experience level and aims and goasl. It is very important to notice that each account ensures market reviews, personal manager and educational material. If you want to try this forex skipping demo account, you can start with a standard account. You have to deposit a minimum of $20. Maximum leverage at that account is 1:1000. If you want leverage to be in range of 1:1 and 1:500, you’d go with higher level account which asks you to deposit at least $1000. There is also Zulu account where you can only trade Forex trading, and the minimum for a deposit is $100. There is also Myfxbook account. It is an online automated, free social analytical tool where you can track, analyze, compare, or share your activity. With Zulu on this account, you are entitled to following a trader of your choice and copying his/her action. You’ll need at least $1000 to get these possibilities open. Myfxbook works in a way so you can have a visual on your MT4 platform what a traders did and how he or she trades. Earlier mentioned demo accounts come in two versions at HiWay. Besides the standard version where you can trade with virtual funds, there is a NDD account where you can trade real stuff, but for no money given or taken. At standard demo version, your starting money is $100,000, by the way. It acts real, so you can really feel what is it like to trade big time. Here, you can’t scalp, but you can trade automatically, one-click, trailing stop and have swaping. HiWay offers a good system to money managers as they can have multi accounts with MAM system. It is very useful for expert advisors. Account managers can adjust commission types, or set up combinations with a flexible platform regarding commission settings. MAM can have 3 Slave accounts, and all of them are tradable from one MetaTrader4 Client Terminal, that is integrated in the MT4 Server. This account allows scalping. HiWayFX offers multiple bonuses. 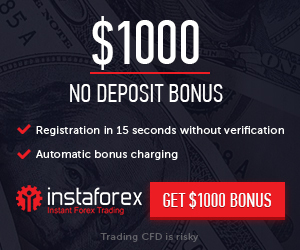 There is a bonus of 100% that doubles your first deposit of $100. Other bonuses include extra 30% for every other money-placement. HiWayFX offers many instructional videos among which all levels of traders can find something suitable for them. Topics that educational material handles are from basic terms, to trading strategies and trading tools. Customer service is at your disposal non-stop, via email, phone or live chat. You can approach them in several languages, English, Russian, Arabic, Indonesian or Greece. Speaking of languages, let’s not forget to mention that there is an entire Arabic version of HiWay.As we mentioned earlier the seriousness and the ways to get trust from traders, let’s say a few words about the custom support HiWayFX offers to its clients. Any enquiries will be responded instantly with a support team non-stop being available. Arabic, English, Indonesian, Russian and Greek languages are included in the customer support that goes through live chat, phone calls that have call back option included, and of course email. HiWay is a Cyprus-based forex broker, internationally oriented. It is a company that started out two years ago, but in a short period of time, with a serious approach, it came to be a respected and often mentioned forex broker. It has more than eighty instruments to trade with. Those include indices, currencies, oil and metal. The company is regulated by CySec and other European regulators which means traders from all over Europe, and more, can trade here.